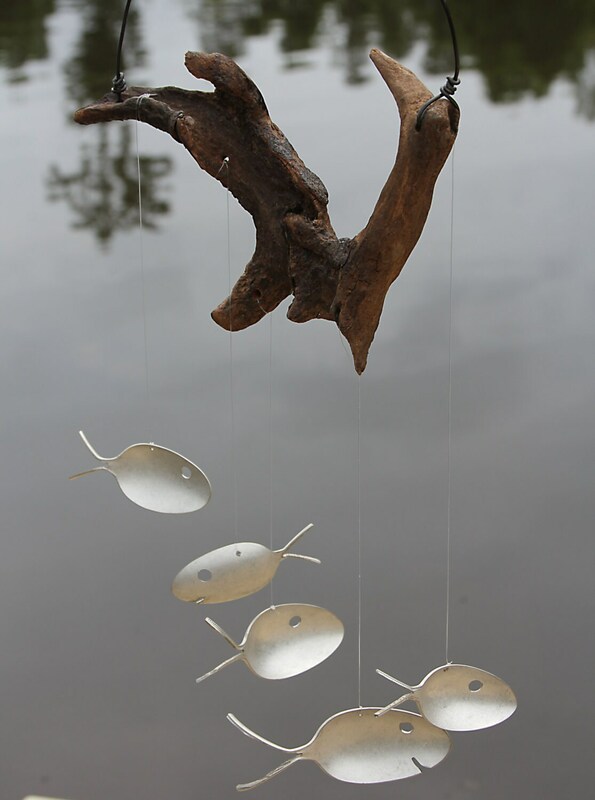 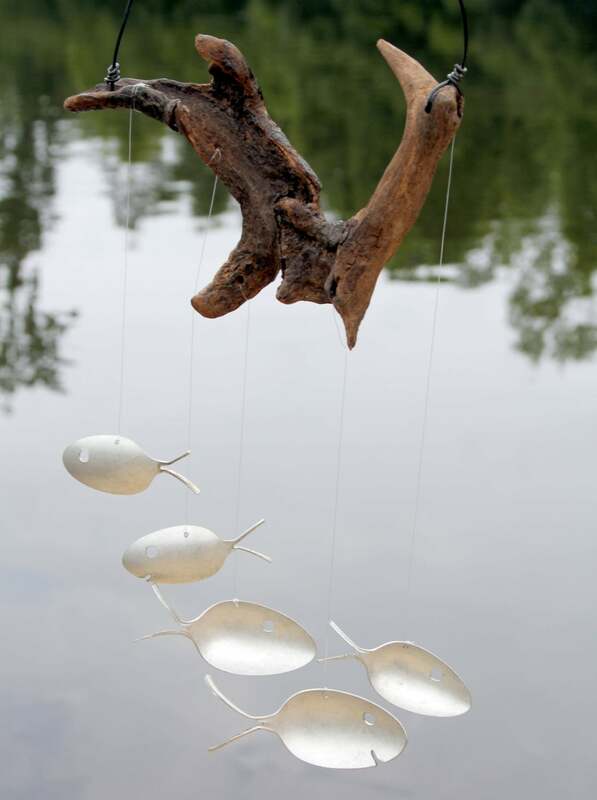 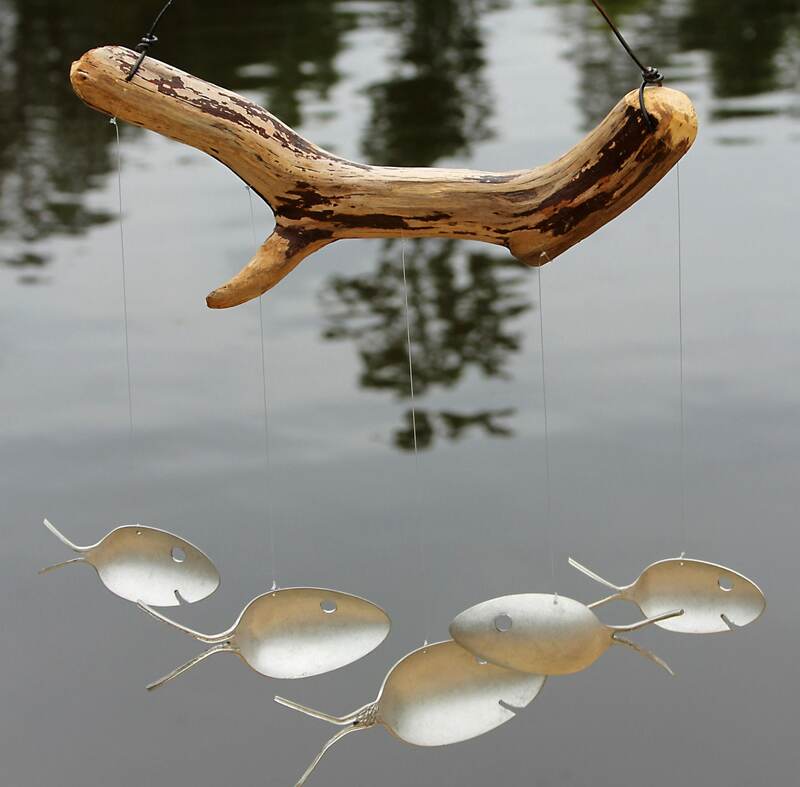 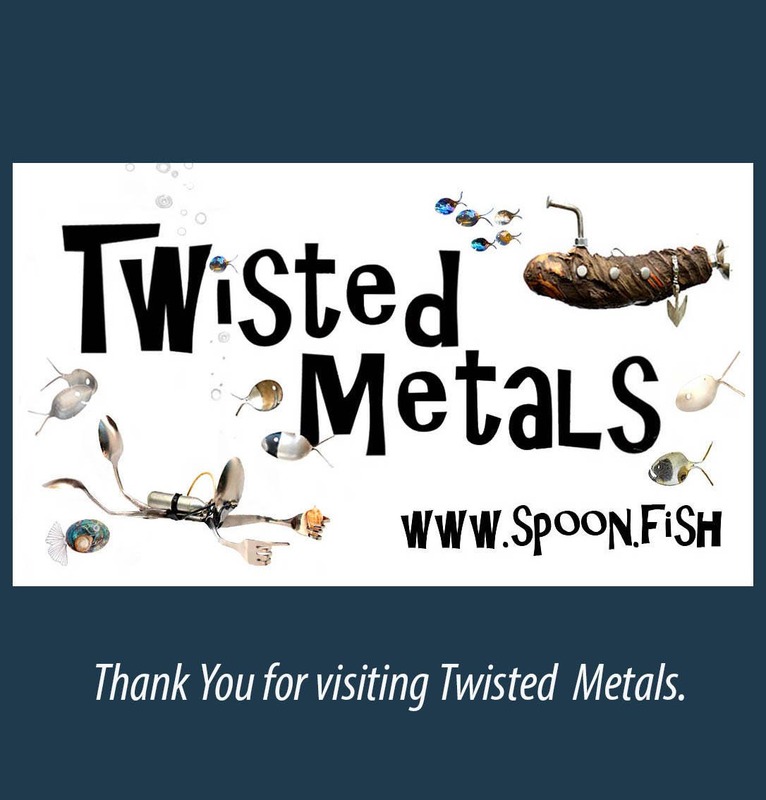 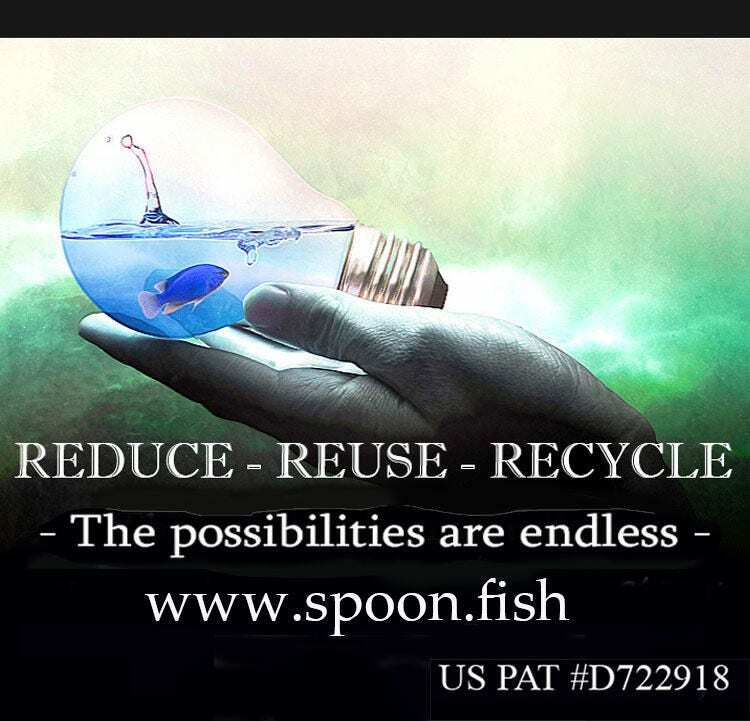 Our Summer Spoon Fish and Driftwood Wind Chime will be your best catch of the season. 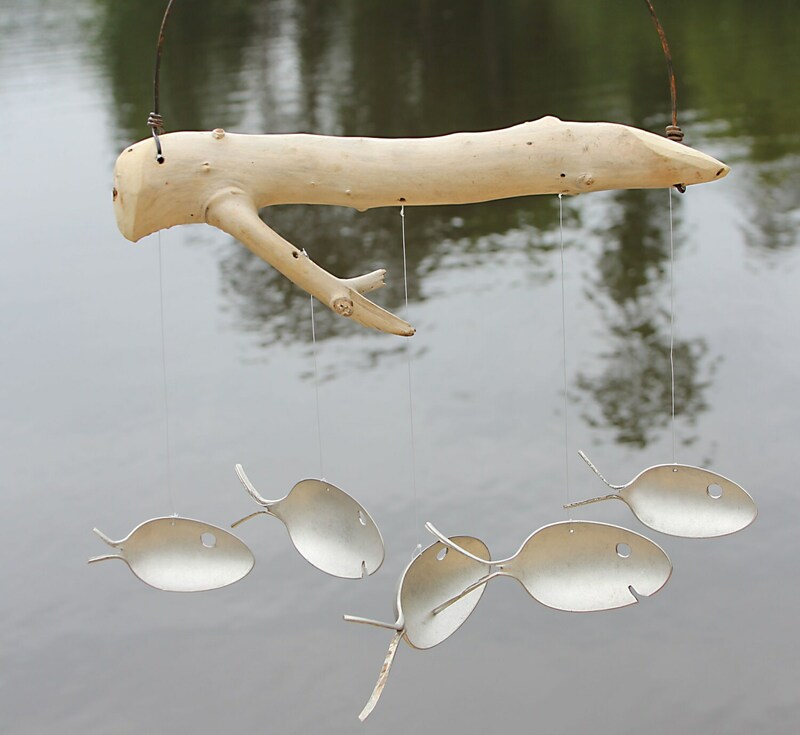 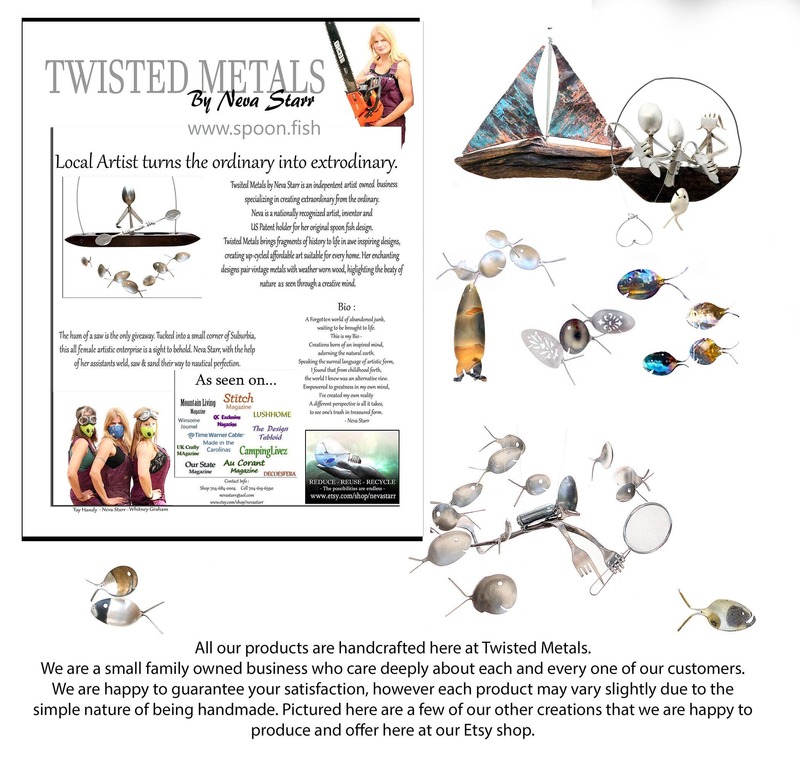 Hanging from your porch or deck, these weather-resistant and artistic wind chimes will light and lovely, relaxing tones every time the wind blows. 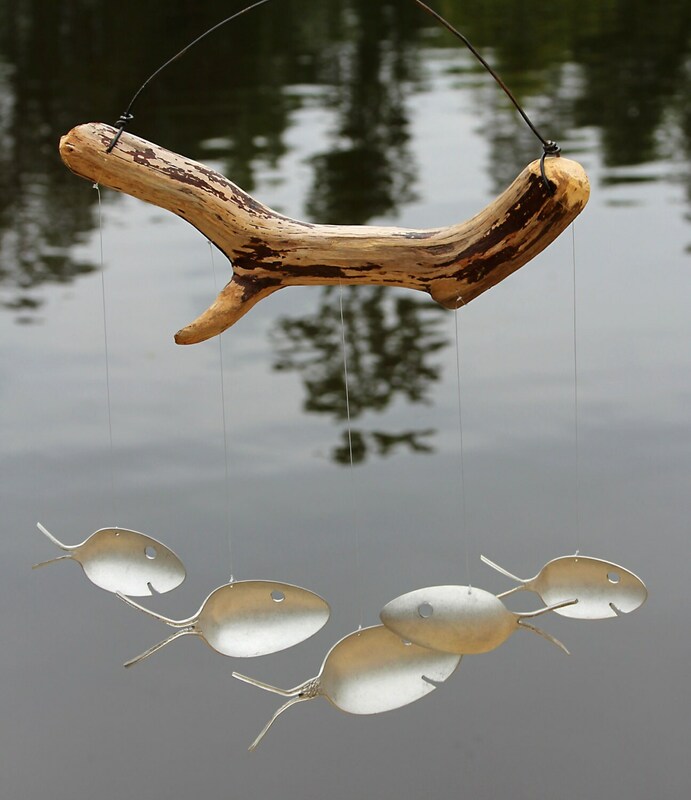 • Crafted from natural driftwood preserved to protect it's beauty for years to come.